Whether a startup company, corporation or private business, each office space has its own distinct culture, employees and clientele. A fresh corporate floral arrangement or lush office plants designed by a close by, reputable, high-end corporate florist like Olivia Floral Design will enhance any professional setting near you. Corporate flower arrangements create a beautiful and lasting impression to display in reception areas, entryways, retail stops, showrooms and more. We guarantee your clientele, employees and visitors will feel properly welcomed. Experienced and exceptionally creative in designing corporate floral arrangements, Olivia Floral Design hand-selects from a wide variety of designer flowers in all colors, textures and scales. 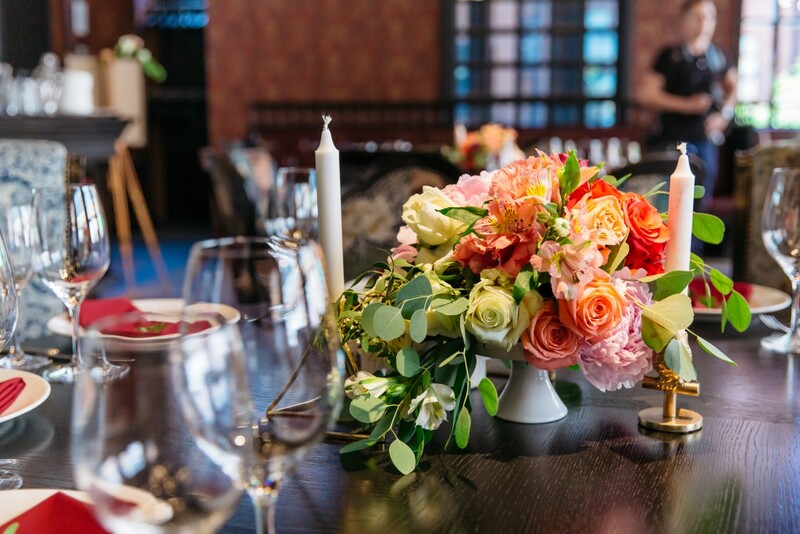 For each corporate event, Olivia Floral Design brings exclusive design innovation to artfully craft the best flower arrangements around your company’s office space. From subtle elegant corporate floral arrangements to display in your sales training seminars, to an eye-catching corporate flower arrangement at a networking event featuring luxurious flowers such as cymbidium orchids, hydrangea, calla lilies, green trick, gerbera daisies, roses, peonies, and sunflowers. Olivia Floral Design provides a more inviting and aesthetically appealing work atmosphere for all to enjoy.